La Grange Park, IL – The Indivisible groups of La Grange/La Grange Park and Western Springs & Surrounding Communities are joining their neighboring Indivisible group in Brookfield and formally announcing their endorsement of Abdelnasser Rashid for Commissioner of the Cook County Board in the 17th District. Mr. Rashid, a progressive candidate, is running to unseat first-term Republican and County Chairman Sean Morrison in the November 6, 2018 midterm election. A Palestinian-American, husband, father of two daughters and resident of Justice, Mr. Rashid advocates for a fair property tax system, affordable and quality health care, workers’ rights, and good government. Mr. Rashid holds a degree from Harvard University and currently serves as Deputy Chief of Staff for Cook County Clerk David Orr. As part of the collective Indivisible Illinois network, the missions of the Indivisible La Grange/La Grange Park and Western Springs groups is to fuel a grassroots movement to defeat the Trump agenda by electing progressive leaders and realize bold progressive policies. Across the nation, more than 5,900 local groups – at least two in every congressional district – are using the Indivisible Guide to hold their elected officials accountable. Mr. Rashid’s candidacy represents a wave of voter enthusiasm for fresh and forward-thinking politics. In the Democratic primary election, he won nearly twice as many votes as the incumbent won in the Republican primary. As part of its endorsement of Mr. Rashid, Indivisible La Grange/La Grange Park and Indivisible Western Springs – along with Indivisible Brookfield, which endorsed Mr. Rashid this past summer – will continue to actively promote opportunities to support and volunteer for the campaign to their membership bases – collectively comprising nearly 2,000 members – and constituents. 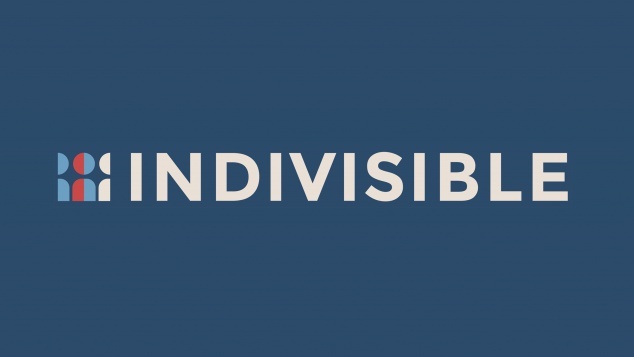 The Indivisible Project is a registered 501c(4) nonprofit. As part of the collective Indivisible Illinois network, the mission of the Indivisible Brookfield, Indivisible La Grange/La Grange Park and Indivisible Western Springs groups is to fuel a grassroots movement to defeat the Trump agenda, elect progressive leaders and realize bold progressive policies. Across the nation, more than 5,900 local groups – at least two in every congressional district – are using the Indivisible Guide to hold their members of Congress accountable.